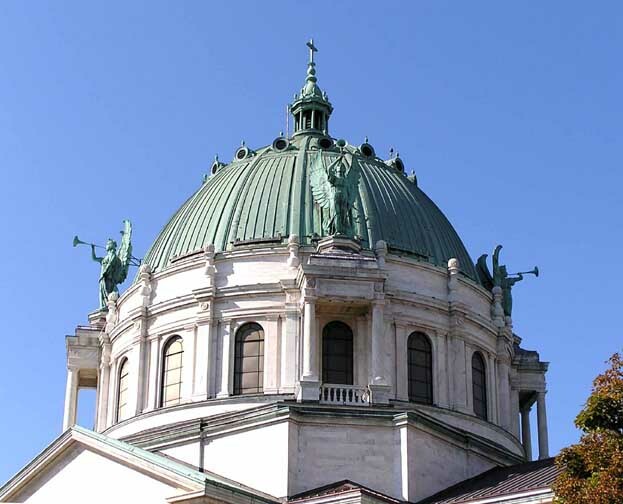 The most prominent feature of the Basilica's exterior is the huge copper dome / cupola. Measuring in at 165-feet in height, the dome, at the time of its completion, was second in size only to the U.S. Capitol building in Washington, D.C. Replaced in 2002.